Winterfest is around the corner again! It is the time to have fun and enjoy the best of wines and food. How best to celebrate the event if not to be chauffeured driven in a stylish and classy Limousines for Winter Formal arranged by Long Island Limo Rental? Winterfest is a four week-long festival of drinks, food, music, fun and full blast entertainment. This is an event many people from all over the region as well as tourists from other parts of the country look forward to. You get to enjoy exciting live jazz performances in the various winery tasting rooms all through the weekends of the four weeks period of the festival. It is important to mention that Winterfest festival experience also includes different forms of arts, craft brew, culture and a host of other fun activities. 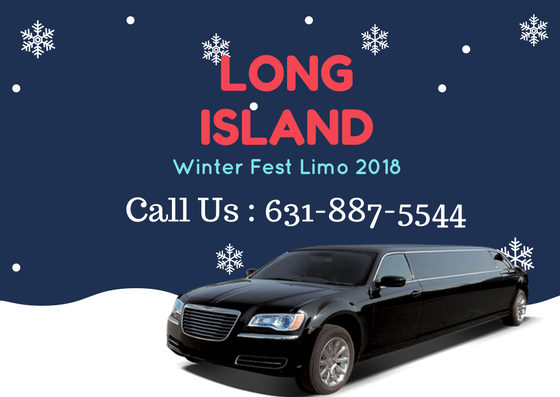 We will be delighted to make the perfect arrangement for your Limousine Service for Long Island Winery Winterfest 2018. You can rely on us to take you to all the fun places during this festival and we assure you of an experience like no other. There are many exciting wineries and activities hubs that you need to see during this period. Hire a limo and let us take you straight to Long Island wine country to enjoy beautiful tastes of wine as you enjoy the amazing music and the numerous foods available. If you want to have fun to the fullest, you can head straight to Suffolk Theatre in a chauffeur driven limo. Many Long Island Vineyards will be open during this period and will be offering special wine tasting to visitors during the Winterfest. Of course, Winterfest is the best time to experience some fine wines from the winery source itself in Long Island. There is no limit to the fun available to you during the Winterfest. All you have to do is get the perfect chauffeur driven limo from a well respected limo service provider like Long Island Limo Rental to take you to where the fun is happening in the area. One thrilling activity to look out for during the event is the Long Island wineries music. This is the height of the fun. You get to see exceptional performances and dance to your heart’s desire. Games lovers are also not left behind in the fun all through the festival. If you love a game of volleyball, you can look forward to Winterfest volleyball 2018. With our limo service, you can arrive at the sports venue in grand style and in comfort. You can trust us to give you the best Winterfest experience all through the festival when you use our limo service. We promise you that you will never have a boring moment from the time we pick you up at your location. Wineries tours are the best part of the event. You get to taste some amazing and refreshing wine from real wineries in Long Island. The Island boasts of some of the best wineries in the country. As a matter of fact, it is believed that you have not been to Long Island if you have not been to the wineries in the city. What best time to visit the famous wineries in the city if not during this year’s Winterfest NYC? 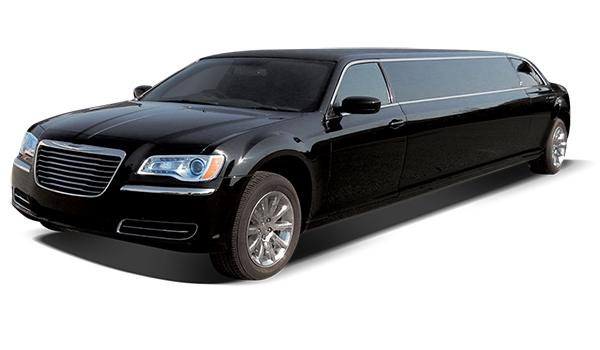 We assure you of an unforgettable time in the city with our exceptional limo service. We have detailed some of the exciting wineries stopovers that you can look forward to during this year’s Winterfest festival. Greenport Harbor Brewing Company is located in Greenport Village. The brewery started its operation in 2009 and over the years, it has been producing and distributing quality beer to wine lovers. Currently, the company’s beer is available in more than two hundred Long Island and NYC locations. During Winterfest, you get to visit this location and experience the taste of beer from the source. Our chauffeur will be waiting on you with our exceptional limo service as you tour this venue and some others. You can enjoy beautiful jazz on the vine Long Island as you tour all these wineries. Dan Burke and Greg Martin, the owner of Long Ireland Beer Company, have been distributing their exquisite brew since the year 2009. They started the brewery in Riverhead sometimes in 2011 and over the year, the company has been expanding. In 2015 for instance, the company produced more than 4,000 barrels of beer for distribution all over the country. During Winterfest, you get to taste the beer produced at this location and not only that, you also get to learn a lot as you take a tour round the brewery. As you enjoy the beautiful moments at the Long Ireland Beer Company, you also get to enjoy beautiful North Fork wineries live music. It is definitely going to be the best experience ever at the Winterfest this year. There is an assortment of brews waiting for you at Crooked Ladder during the Winterfest. Situated at 70 West Main Street at Riverhead New York, Crooked Ladder Brewing Company is known to brew a wide variety of new and handcrafted beers. Beers from this brewery are distributed at hundreds of places all over the Island. These beers will also be available at their tasting room during the Winterfest. Crooked Ladder produces only the best beer which is why their premium tasting room is usually full of tourists and beer lovers. To maximally enjoy the Winterfest festival, hire a limo from Long Island Limo Rental and our professional chauffeur will be pleased to take you to all the exciting venues during the festival. At Long Island Limo Rental, we only know how to give the best to our clients. We are poised to offer one of the best services to you during this period. We have a wide range of rides that we can arrange for you during this period. Some of the exotic limos you can hire during this festival are as follow. The 2018 Winterfest festival is taking place from the 22nd of February 2018 through to 18th of March 2018. The festival events usually hold on weekends from Friday through to Sunday. Our limo service will be available to you all through the period. Meanwhile, if you also need our service for other events in Long Island such as weddings, bachelor/bachelorette party, night on the town, corporate meetings, airport pickup and drop off, or any event whatsoever, contact us to make the perfect limo arrangement for you. Wherever you want to visit in and around Long Island, you can trust us to make the perfect limousine arrangement for you. We take the issues of safety and comfort very seriously. As such, we only make the best of limos available to our clients. We ensure that the limos are well maintained and come with some of the best features you can find in a limo ride. Our clients have started making enquiries and reservations for Limousine Service for Long Island Winery Winterfest 2018 and we can’t wait to take your order too. This year’s Winterfest is definitely going to be a blast and we are sure you do not want to miss any moment of it. You need to act fast and make arrangement for your limo service as soon as possible. Wherever you are, our chauffeur will be there to pick you up so that you can experience the festival in full swing. Our prices are very competitive when you consider all that we offer. It is important to mention that when it gets close to Winterfest, our current rates might change. This is basically due to some factors such as weather change. We however assure you that our prices will always be competitive when compared to others. We know you deserve the best and we only give you the best you deserve. Our customer care team members are earnestly waiting to help with any enquiries you have about Winterfest 2018 and your transportation needs. Make it a point of action to contact us today. We assure you of a memorable period as you use our Limousine Service for Long Island Winery Winterfest 2018. Call us now to make your reservation!